Mother of three turned to us for help. The social allowance was not enough for buying firewood. She went through the snow and frost daily to find something to heat the house with. 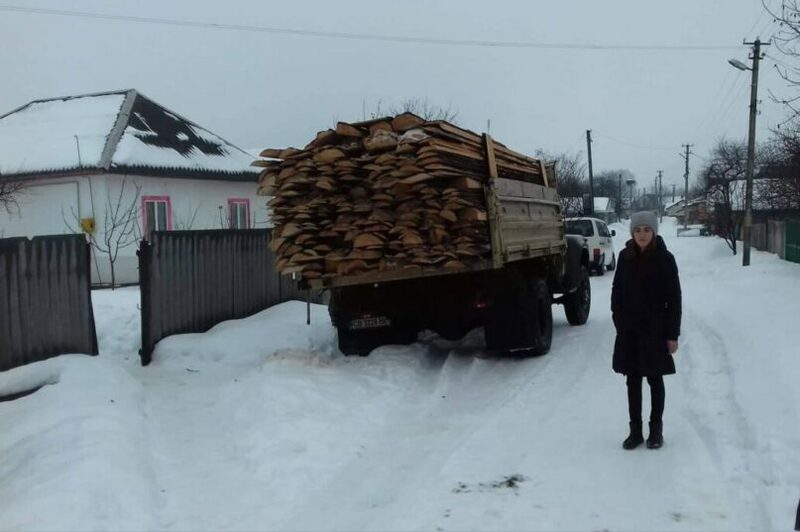 Today, they received plenty of wood. Mother and children thank all warm-hearted helpers.